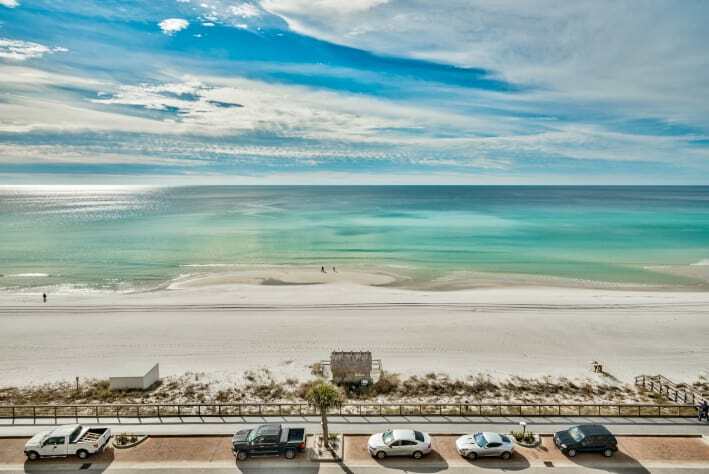 Gorgeous GULF-VIEW Newly Remodeled Beach Condo in Perfect Destin Location!! NEWly Remodeled and all NEW Shabby-Chic Furnishings. 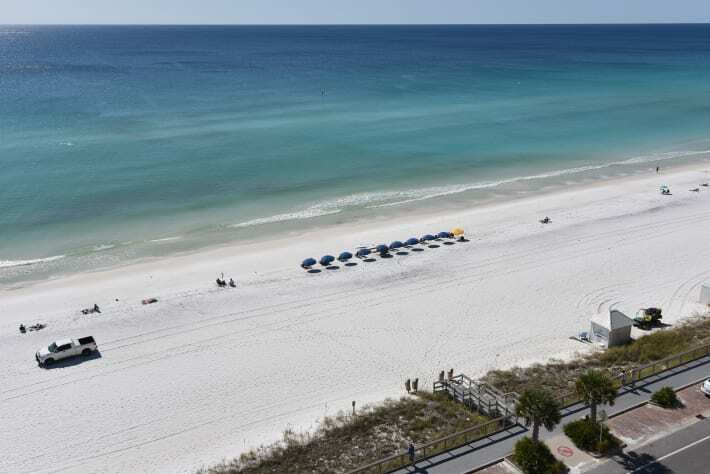 Breathtaking views of the GULF and SUGAR SAND BEACH in the perfect Destin location at Miramar Beach. 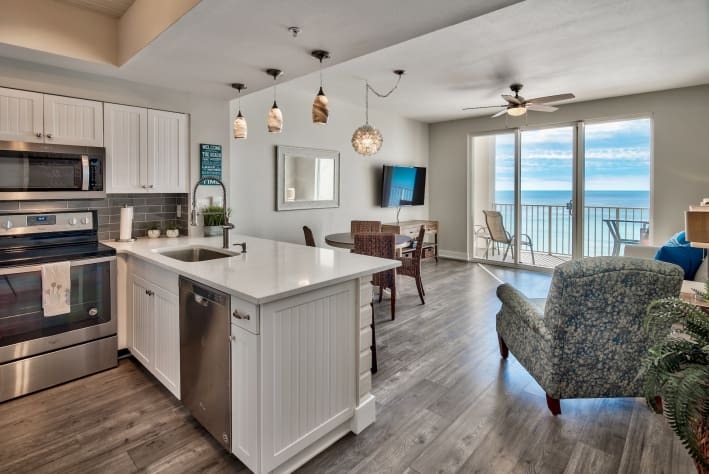 This beautiful condo provides all you need for a perfect romantic getaway trip to the Emerald Coast or a fun-filled family beach vacation, comfortably accommodates 6 guests. 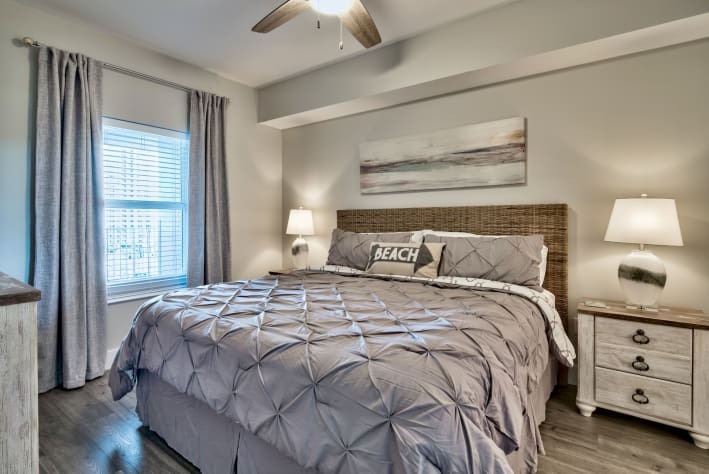 This spacious condo features a master bedroom with a king size bed and separate master bath. 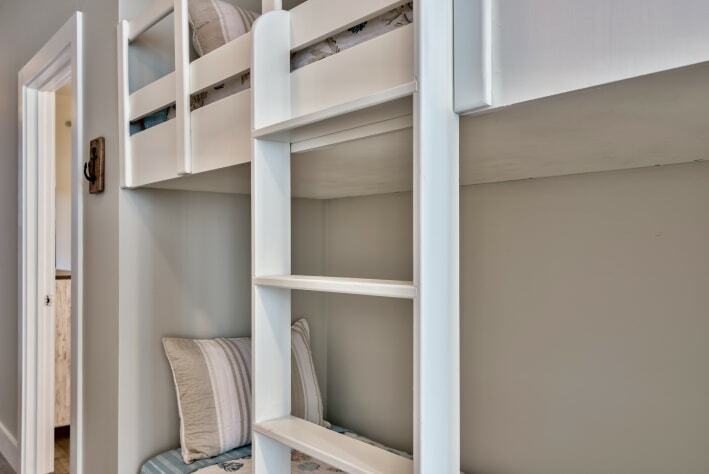 For additional guests, there are twin size bunk beds in the hall and BRAND NEW queen-size sleeper sofa in the living room. 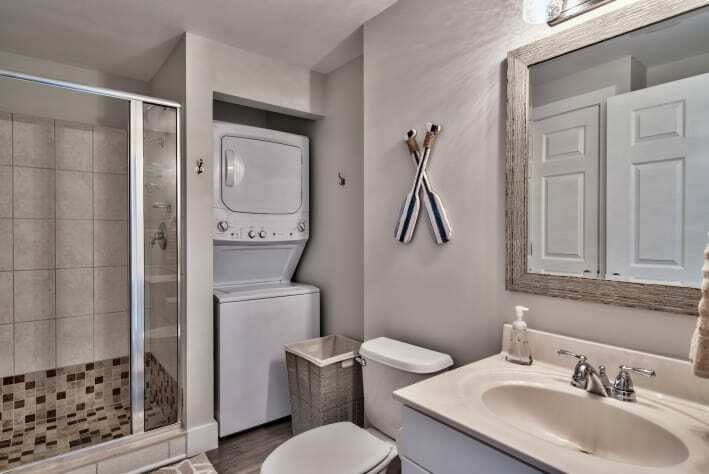 Second full bath with shower and washer/dryer make your stay easy and comfortable for up to 6 guests. 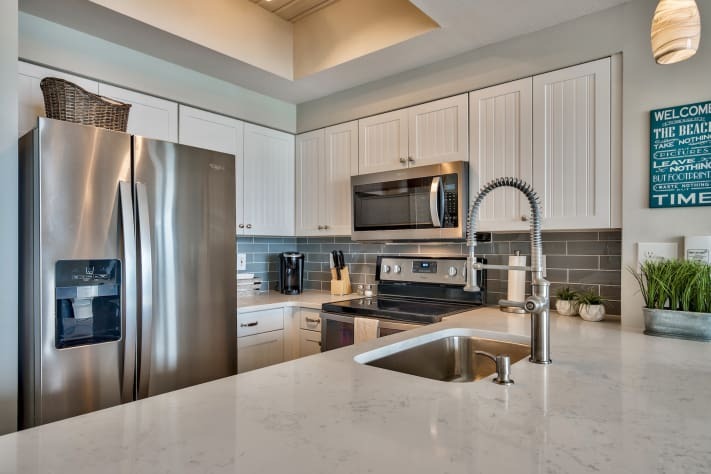 Fully remodeled kitchen, including QUARTZ counter tops and all NEW stainless steel appliances provides all you need to enjoy your stay with family and friends. 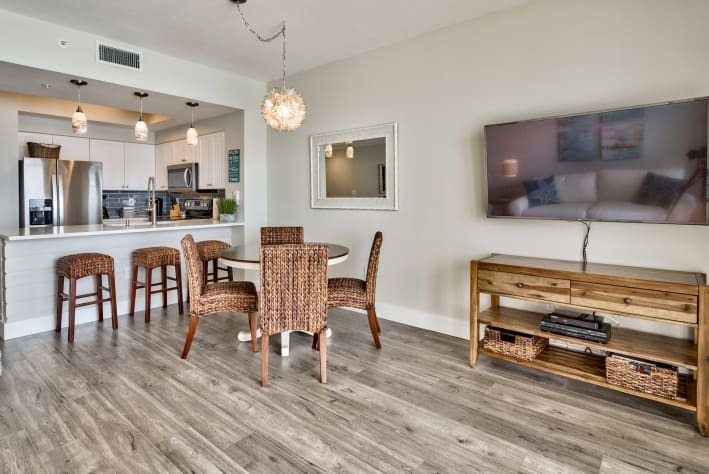 Dining area and living room are spacious and comfortable with all NEW furnishings and lead to a private, large balcony with full GULF views. 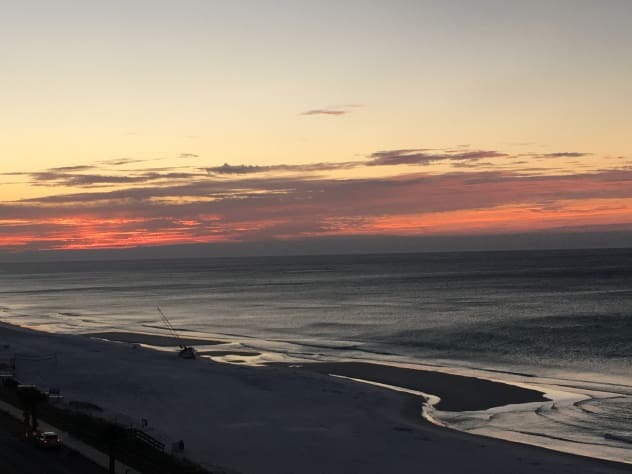 The balcony is the perfect place to enjoy the breathtaking sunrise with morning coffee and sunsets with a glass of wine!! 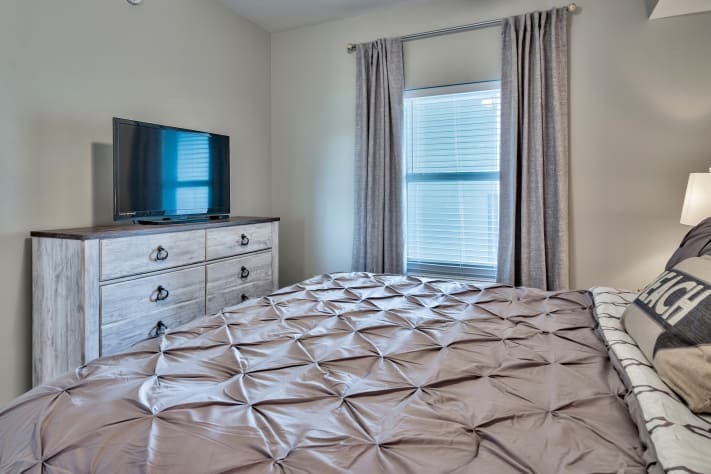 Brand new 55-inch HD-4K Smart-TV in living room and another 38-inch flat screen TV in master bedroom make the perfect setup to spread-out and relax watching your favorite TV shows, sports or movies. Samsung Blu-ray disc player also provided. 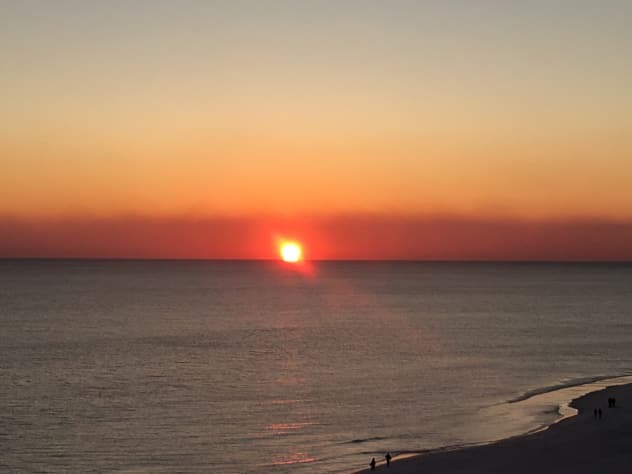 Majestic Sun at Miramar Beach is the perfect Destin location at the Seascape Resort. 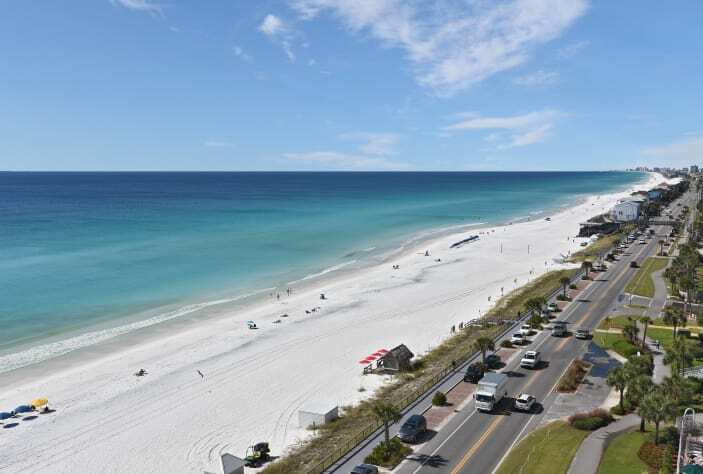 Centrally located on scenic Hwy-98 within minutes of a beautiful 18-hole golf course, Destin Commons shopping, Sandestin Baytowne shopping/dining/nightlife, parasailing, Waverunner rentals, kayak rentals and more!! 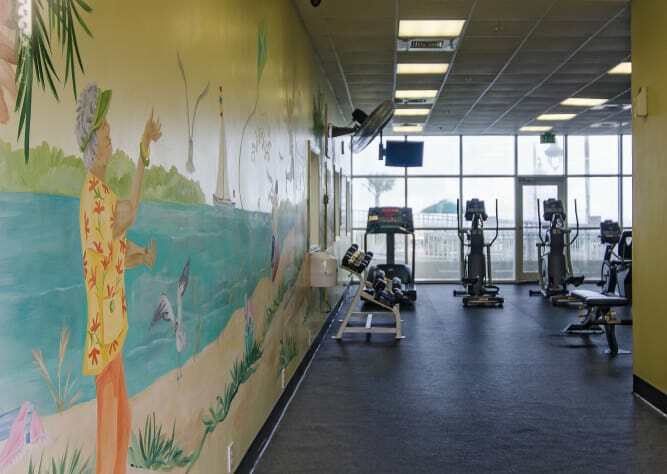 Walk or bike to local favorites, The Whale's Tail Beach Bar & Grill or Pompano Joe's Seafood House, right on the beach with great local seafood and fun beach drinks. 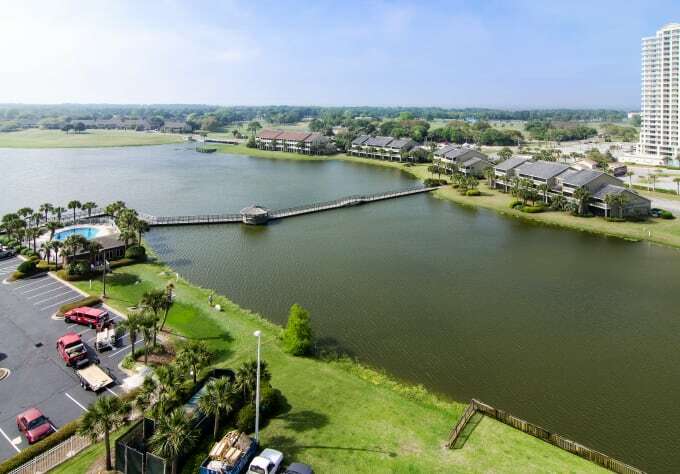 Just a short walk or bike ride to convenient stores and restaurants, including: Chick-fil-A, Dairy Queen, JBs Pizza, BadAss Coffee Shop, CVS, Winn-Dixie and many more!! 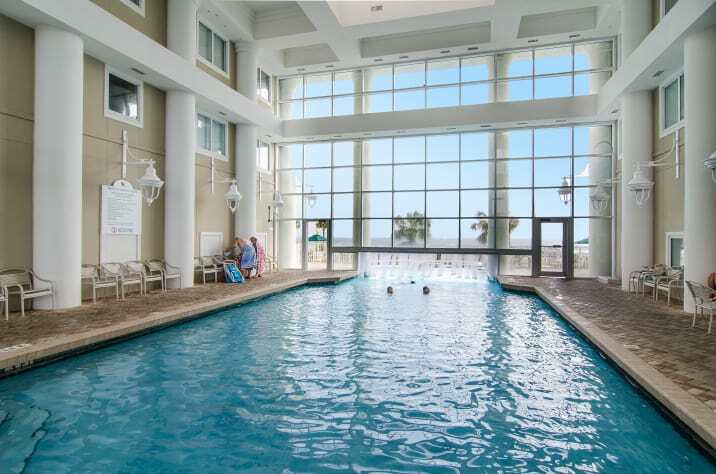 Majestic Sun amenities include a beautiful heated indoor/outdoor pool, two hot tubs, Gulf facing fitness center (equipment upgraded Jan. 2018) and more. Condo comes with private parking space located directly under building. Very convenient for guests during busy season and keeps your vehicle out of the hot sun. DON'T DELAY....BOOK TODAY!!! 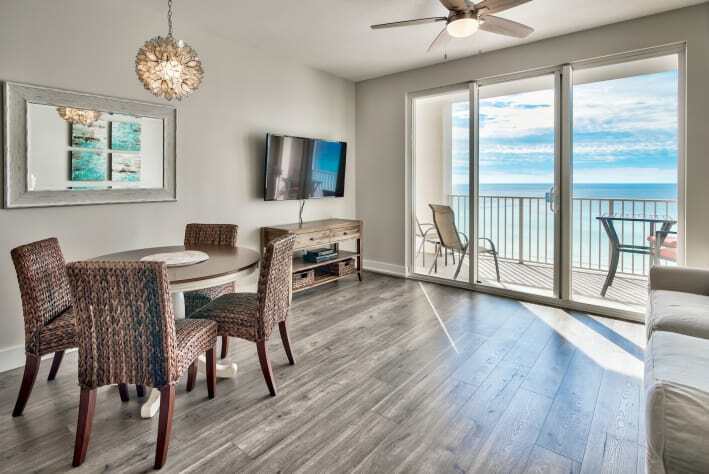 DATES WILL BOOK FAST FOR THIS STUNNING GULF-FRONT CONDO WITH ALL THE COMFORTS OF HOME!!!! 35% due at time of booking and remaining balance due 90 days prior to arrival. During peak seasons, minimum 6 night stay required with Saturday to Saturday arrival/departure. Monthly rental available during winter months, please call or email for quote. For monthly rentals, cleaning fee will be additional $75.00. My wife and I absolutely enjoyed our recent stay at this condo! We celebrated our 46th wedding anniversary, my 69th birthday, and Valentines Day all at the same time! The condo is gorgeous--extremely well decorated and maintained and absolutely spotless. Not to mention that the ocean view from the balcony is breathtaking--we saw dolphins swimming by on several occasions. The underground parking is also a real plus. We would highly recommend this condo to anyone who is looking for a great vacation....and the owner is a real sweet heart to work with, too! Thank you for your kind review. We are so happy you chose to stay with us for your special anniversary and birthday celebration. It was such a pleasure getting to know you and your sweet wife. Hope you will come again soon. The owner has transformed this condo into a stylish, warm and comfortable home away from home. No detail has been left out in the furnishings and supplies. Besides the unit, the view is amazing! Renting from Pam is a breeze, such a pleasant experience compared to the big box rental companies. 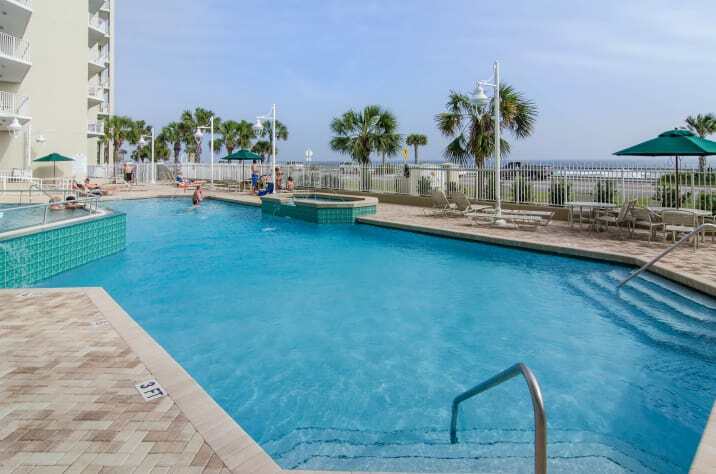 You will be happy you chose this condo and sad to leave. Thank you Pam. So glad you enjoyed your stay with us and hope you will come again soon. This condo is absolutely beautiful . From the flooring, to the lighting, to the linens everything looks like new. 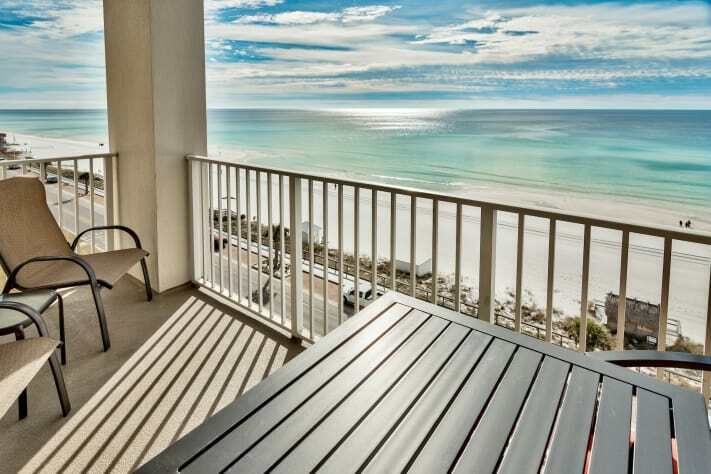 The most stunning part is the incredible view of the gulf from the deck. Walking out of the bedroom and turning down the hall the first thing you see is an expansive view of the water.... and you know it's going to be a GREAT day when it starts out like that. Pam is wonderful to work with and responds immediately. We have stayed in several units at Majestic Sun and this by far is the nicest unit we have stayed in. We will be back for sure! I would give it ten stars if I could. You will not be disappointed if you rent from Pam. Thanks for a great stay in your beautiful condo. Thank you Laurie. You were the perfect guests and I really enjoyed getting to know you a little in the process. Getting to know our guests is what I enjoy most about owning vacation property:) I hope you and your family will stay with us again soon. This condo was beautifully decorated and it was so peaceful. You could see the ocean perfectly from this floor. The owner is so accomadating. I would give this 5 starts. The condo is stocked with anything and everything you need. We will most certainly stay again. So glad you had a great time Martha!! Hope you and your family come back soon. The condo was so nice and new!! The view from the balcony was gorgeous. I couldn't wait to run out there and look at the white sand and waves. It was so relaxing and only took a minute to get to the beach. The parking was great and we loved the souvenir store on location. The owners are so kind and accommodating. We would definitely stay here again!!!! Cathy, so glad you had a great time and enjoyed your stay with us!! You were the perfect guests and hope you come back soon. Thank-you!! The condo was very nice and very clean! We loved our stay! Thank you for being our guest Erin. Hope you will come back soon! Pam - thank you so much for sharing your beautiful condo with us! We were blown away by the beautiful views of the gulf. 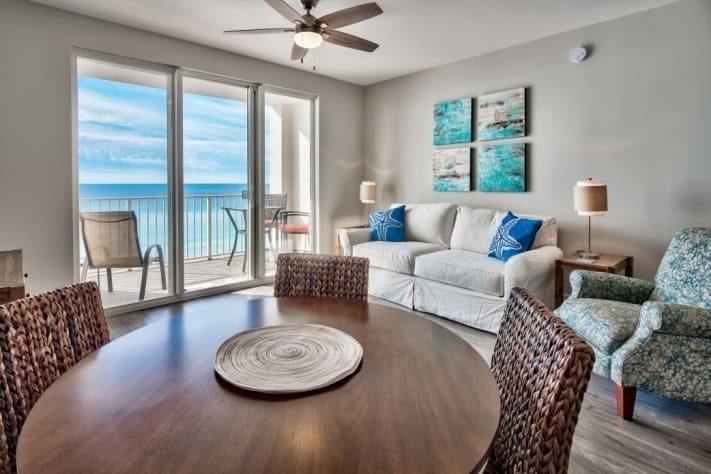 We loved everything about your condo - the view and new décor was top notch! We would love to come back sometime soon! Thanks so much for being so easy to contact and also for all of your help! Thank you Sherri. It was a pleasure having you as our guests. Hope you come back soon!! 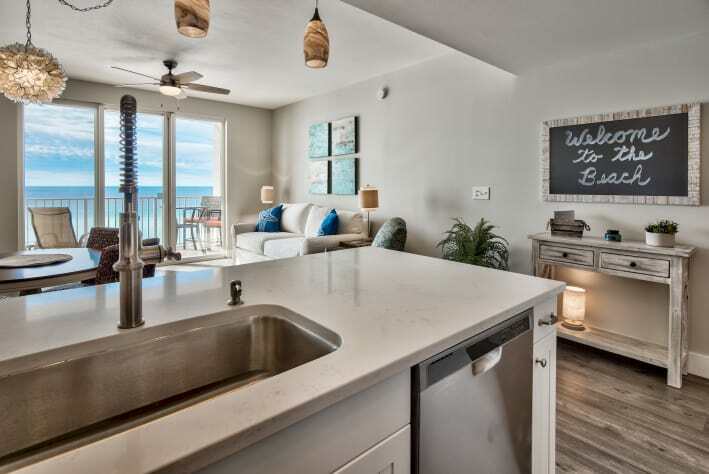 I am not kidding when I say that this condo was perfect! Beautiful decor, clean, new, gorgeous view from the balcony, upscale furnishings, private parking space underground, and great location. I am already recommending to my friends! Thank you for your kind review Susan. It was a pleasure having you as our guest and we look forward to you coming back soon!! WOW! I don't have words to fully express all the good things about this condo. 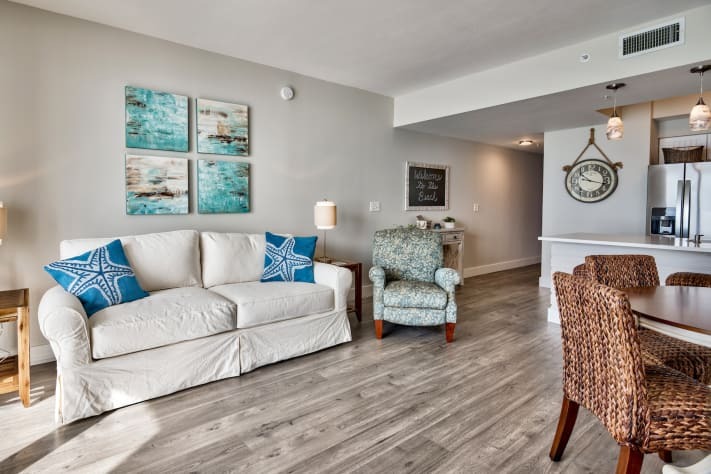 It is completely and tastefully remodeled with a relaxing coastal vibe. 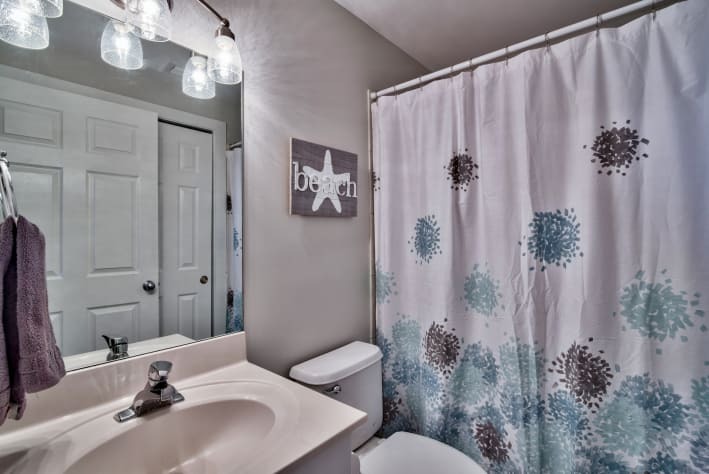 From the flooring to the light fixtures and everything in between it is clean and fresh. The kitchen has "everything" you need. Pots, pans, bowls, baking dishes, stemware, and appliances to prepare a 5-course meal. Or just stock the frig with your go to items and enjoy all the great seafood restaurants that are near by, several in walking distance. 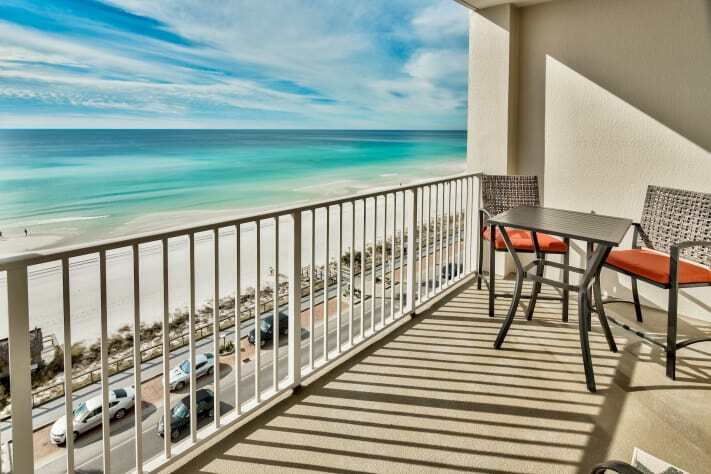 The view from the balcony is the beautiful emerald coast and it is perfection especially at sunrise & sunset. My husband & I came down to celebrate our birthdays and we are already planning our next trip. Pam & Tom have a beautiful beach home. Pam is personable, gracious, and responds to inquiries quickly. They really have thought of everything to make you feel at home. We highly recommend this condo. Thank you so much for your kind review!! You and Jim are the perfect guests and we hope you come back soon. I can’t say enough nice things about this condo. It’s in the perfect location, extremely clean and very tastefully decorated. I especially enjoyed the private parking space only steps away from the elevator. But most importantly, Pam is very easy to deal with and she uses an honest cleaning company. My daughter accidentally left an expensive camera behind. Pam contacted me immediately and mailed the camera back to us! Thank you Sandra. I agree....Donna (owner/manager of cleaning company) is amazing!! She does an awesome job keeping our condo perfectly clean and is completely trustworthy. It was great having you as our guest and we hope you and your daughters come back soon. As a Realtor in Ga & Fla , I see many homes and condos and have stayed in several as well while in the area,but I have NOT ever stayed in one like this one . It was perfect , from the decorations , housekeeping, to the wonderful view. Pam was very accommodating and very easy to work with. We will defiantly be back and I hope sooner than later..